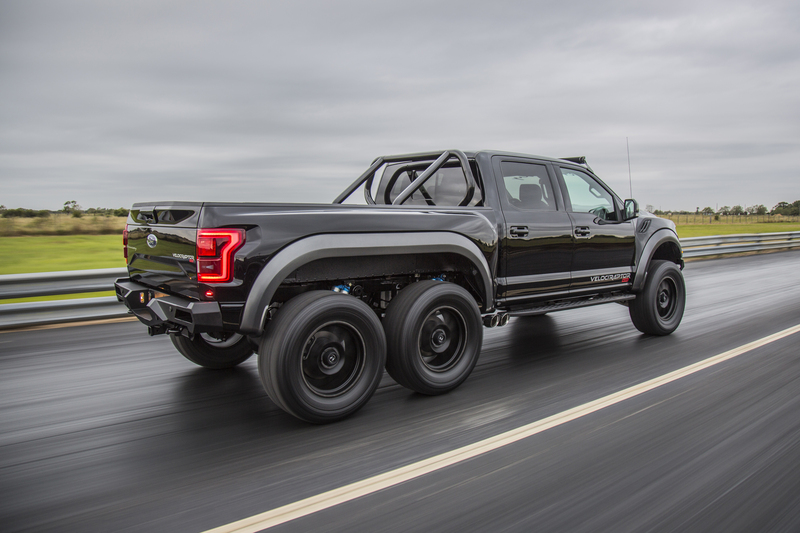 We first saw it in concept form in 2016 and a one-off was on the show floor at SEMA 2017, now Hennessey is finally building a limited run of the absolutely ridiculous Ford F-150 VelociRaptor 6x6 pickup truck. Think of it as a country-fried version of the equally ludicrous G63 AMG 6x6. 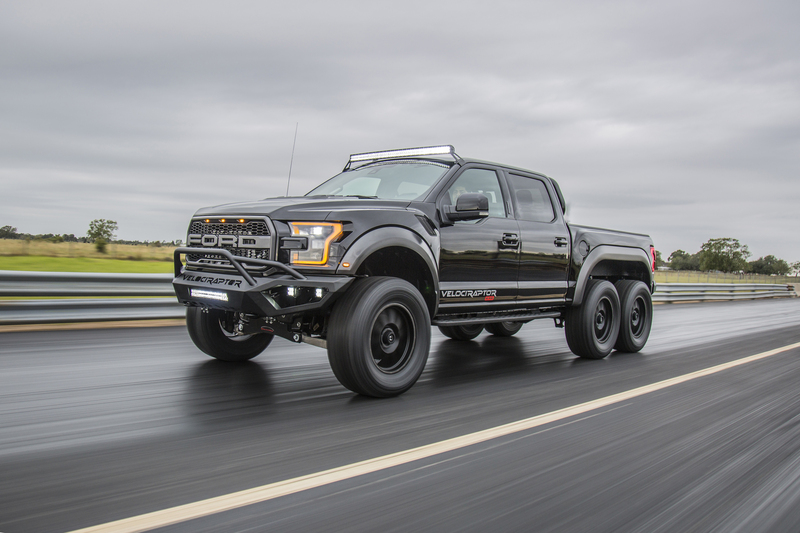 Hennessey does a lot more to this F-150 Raptor than just add an extra axle and two more wheels. It gets the full VelociRaptor treatment which is already available with just four wheels—if you’re into that sort of thing. Hennessey took the already crazy twin-turbo EcoBoost V-6 engine and gave it a tune, modified turbo wastegates, a new intercooler, new exhaust, and a new intake. The result is 602-horsepower and 622 pound-feet of torque and a claimed zero to 60 mph time of 4.9 seconds. All three axles on the Hennessey VelociRaptor 6x6 are lockable to maximize traction. It gets a Fox suspension upgrade and 20-inch wheels with off-road tires along with custom exterior trimmings like special bumpers, a roll bar in the bed, and LED lighting. If the base model isn’t enough for you, available upgrades include Brembo performance brakes, bigger wheels and tires, more LED lighting, bespoke interiors, electronic upgrades, and “armoring systems,” which presumably means skid plates and maybe a bull bar to protect the truck in extreme off-roading. 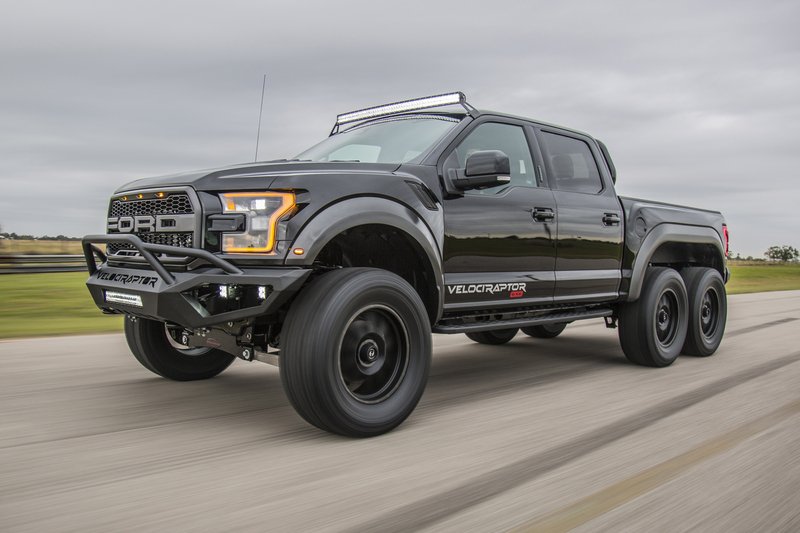 “Our VelociRaptor 6X6 is pure aggression on wheels – all six of them”, says Hennessey on its website. 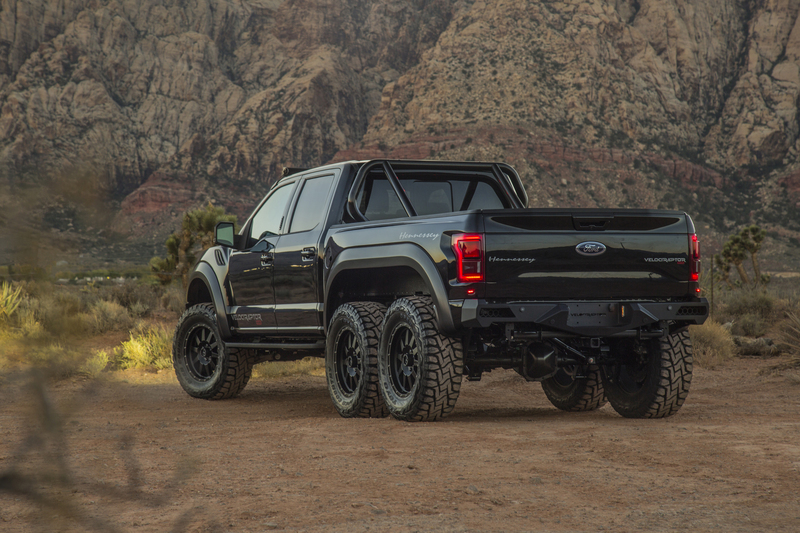 “The new 2017 Raptor is going to be one of the best all-around trucks ever built. We are excited to help take it to the next level both in terms of performance and exclusivity”. 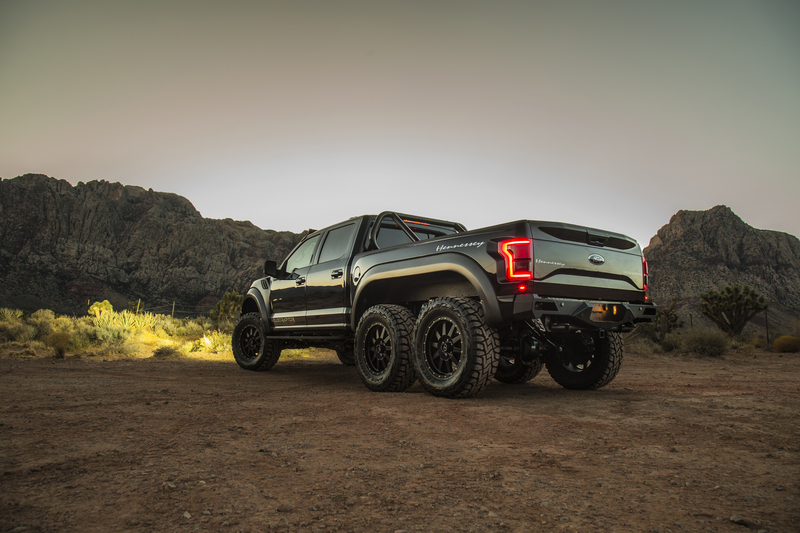 The starting price for this monster is $349,000 and if you’re itching to fork over that much money on an F-150 with six wheels, you can order your truck directly through Hennessey or through select Hennessey/Ford dealers. Act fast, Hennessey says it’s only building 50 of these for sale.